NOTE: In place of a regular news story, we are posting an editorial on Fidel Castro. It is important to understand that Castro was a brutal dictator. This editorial gives a brief overview of this Communist tyrant. (by the Editors, The Wall Street Journal) – Fidel Castro’s legacy of 57 years in power is best understood by the fates of two groups of his countrymen—those who remained in Cuba and suffered impoverishment and dictatorship, and those who were lucky or brave enough to flee to America to make their way in freedom. No progressive [liberal] nostalgia after his death Friday at age 90 should disguise this murderous and tragic record. Castro took power on New Year’s Day in 1959 serenaded by the Western media for toppling dictator Fulgencio Batista and promising democracy. He soon revealed that his goal was to impose Communist rule. He exiled clergy, took over Catholic schools and expropriated businesses. Firing squads and dungeons eliminated rivals and dissenters (those who opposed his politics). The terror produced a mass exodus. An April 1961 attempt by the CIA and a small force of expatriate Cubans to overthrow Castro was crushed at the Bay of Pigs in a fiasco for the Kennedy Administration. 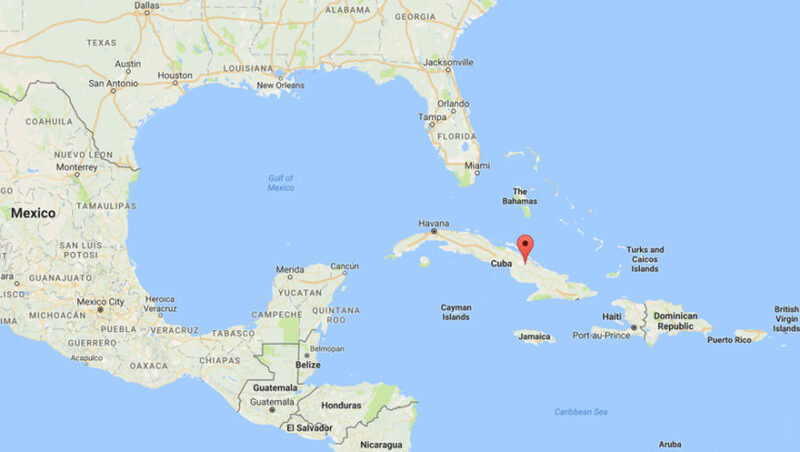 Castro aligned himself with the Soviet Union, and their 1962 attempt to establish a Soviet missile base on Cuba nearly led to nuclear war. The crisis was averted after President Kennedy sent warships to intercept the missiles, but the Soviets extracted a U.S. promise not to invade Cuba again. The Cuba that Castro inherited was developing but relatively prosperous. It ranked third in Latin America in doctors and dentists and daily calorie consumption per capita. Its infant-mortality rate was the lowest in the region and the 13th lowest in the world. Cubans were among the most literate Latins and had a vibrant civic life with private professional, commercial, religious and charitable organizations. Castro destroyed all that. He ruined agriculture by imposing collective farms, making Cuba dependent first on the Soviets and later on oil from Hugo Chávez’s Venezuela. In the past half century Cuba’s export growth has been less than Haiti’s, and now even doctors are scarce because so many are sent abroad to earn foreign currency. Hospitals lack sheets and aspirin. The average monthly income is $20 and government food rations are inadequate. All the while Fidel and his brother Raúl sought to spread their Communist revolution throughout the world, especially in Latin America. They backed the FARC in Colombia, the Shining Path in Peru and the Sandinistas in Nicaragua. Their propaganda about peasant egalitarian movements beguiled thousands of Westerners, from celebrities like Sean Penn and Danny Glover to Secretary of State John Kerry, who on a visit to Havana called the U.S. and Cuba “prisoners of history.” The prisoners are in Cuban jails. President Obama’s 2014 decision to normalize U.S.-Cuba relations has provided new business opportunities for the regime but has yielded nothing in additional freedom. Americans can now travel and make limited investment in Cuba but hard-currency wages for workers are confiscated by the government in return for nearly worthless pesos. In 2006 Forbes estimated Fidel’s net worth, based on his control of “a web of state-owned companies,” at $900 million. The hope of millions of Cubans, exiled and still on the island, has been that Fidel’s death might finally lead to change, but unwinding nearly six decades of Castro rule will be difficult. The illusions of Communism have given way to a military state that still arrests and beats women on their way to church. China and Russia both allow more economic freedom. The regime fears that easing up on dissent, entrepreneurship or even access to the internet would lead to its inevitable demise. Castro’s Cuba exists today as a reminder of the worst of the 20th century when dictators invoked socialist ideals to hammer human beings into nails for the state. Too many Western fellow-travelers indulged its fantasies as long as they didn’t have to live there. Perhaps the influence of Cuba’s exiles will be able, over time, to reseed the message of liberty on the island. But freedom starts by seeing clearly the human suffering that Fidel Castro wrought. 1. a) What promise did Fidel Castro make when he overthrew dictator Fulgencio Batista in 1959? b) What was his actual goal, which the people discovered soon after he took power? 2. Contrast the fate of the two groups of Cubans: those who stayed and those who escaped Cuba. 3. What was the economy, and the health and literacy of the people like before Castro seized power and implemented his Communist doctrine? 5. How has President Obama’s 2014 executive order to normalize U.S.-Cuba relations after a 50 year embargo affected the Cuban people? 6. a) What did President Obama say after the death of Communist dictator Fidel Castro? Ask a grandparent who has lived through this history: With which statement do you agree more? Please explain your answer. CHALLENGE: To understand what Castro really did to the Cuban people, visit the Cuba Archive website and visit the Cuba Archive facebook page to read about Castro's victims. Read through some of the stories. Then pay attention to news reports on Castro and how he is portrayed.